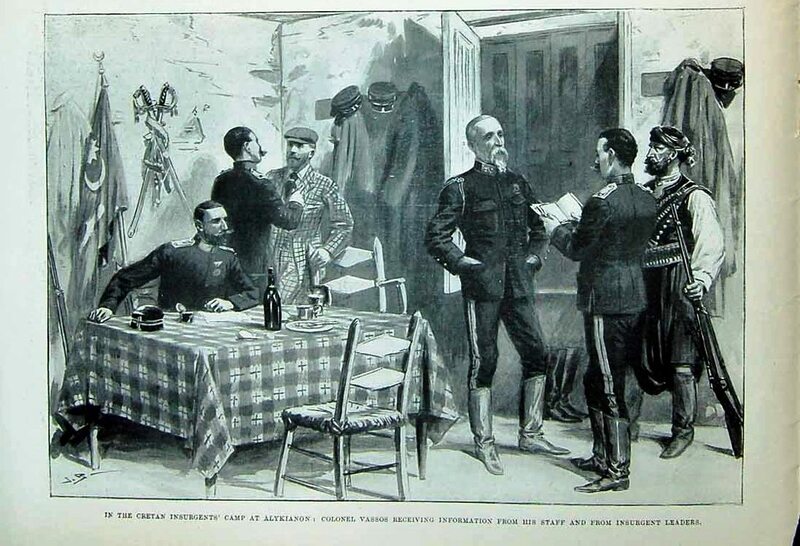 Know your enemy – part 1 | The British in Crete, 1896 to 1913. The arrival of British and other troops on Crete in March 1897 was not to defend the downtrodden Cretan population from the ravages of the bestial Ottoman hordes, but rather to attempt to prevent the island falling into a state of anarchy; a state brought about by a Cretan Christian rebellion, the Ottoman reaction to the rebellion and an invasion of the island, still at that stage an integral and legal part of the Ottoman Empire, by the Greek army. 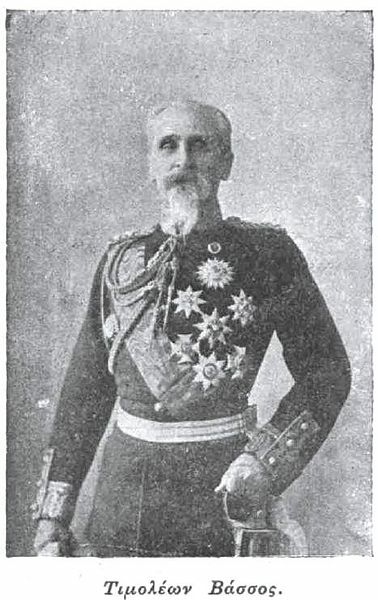 The Greek force of some 1500 men and associated artillery, commanded by Col. Timoleon Vassos, aide de camp to the King of Greece, landed on the north coast of Crete to the west of Canea on 14th February 1897, shortly afterwards moving inland to make their headquarters in the village of Alikianos. On landing, Vassos proclaimed the Greek annexation of the island, a move that threatened the stability of the whole region. 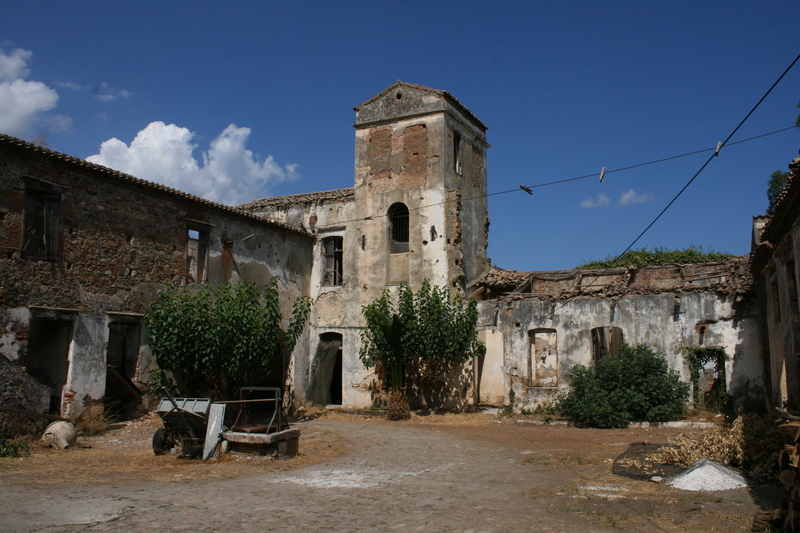 With the Cretan Christian insurgents controlling the interior of the island, the bulk of the Muslim population abandoned the countryside and concentrated in the towns on coast. 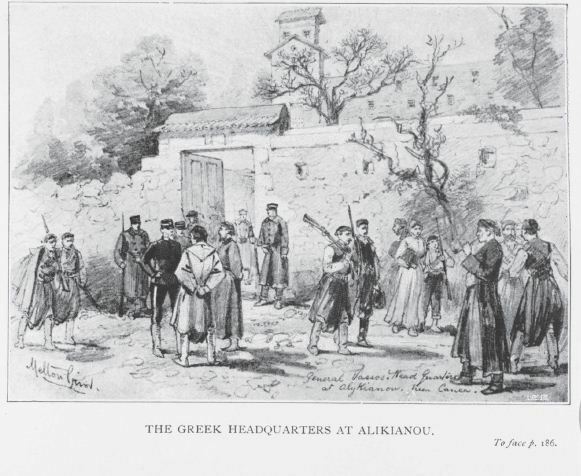 Lacking the artillery and the discipline and organisation necessary to capture these towns, the insurgents were dependent for further success on the the Greek army. However, fearing that assaults on the towns would result in further Ottoman retaliation, both in Crete and in the Balkans, the initial military objective of the British troops to prevent the insurgent/Greek forces from capturing the towns. In the end however, no credible threat to either Canea or Candia [Iraklion], the towns in which British troops were based, was offered – the regular Greek forces having proved sufficient in numbers to provoke the Ottoman Empire into declaring war on Greece but insufficient to produce any military result on Crete, and the insurgents too undisciplined. 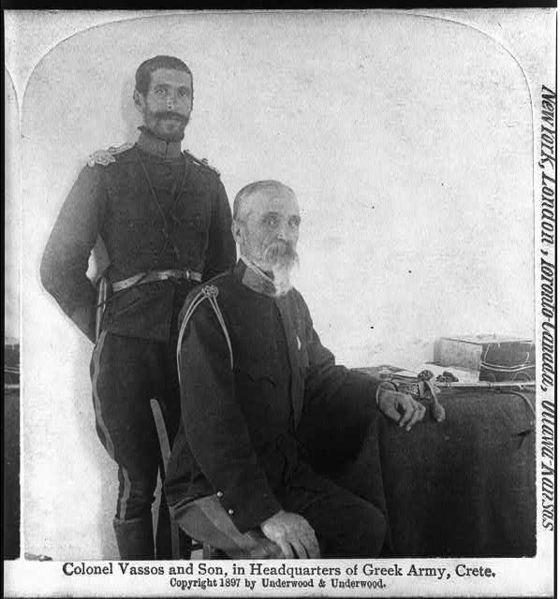 Following the overwhelming Greek defeat by Ottoman forces in the ‘Thirty Days War’, Vassos and his men were withdrawn from the island; albeit not without some difficulty, Cretan insurgents at one stage threatening to kill Vassos rather than let him depart. This entry was posted in Cretan Rebels, European Intervention Crete and tagged Crete 1897, European Intervention Crete, Greek army, Timoleon Vassos on February 6, 2015 by Mick McT.